Traditional Chinese massages in China, obviously, are excellent; if you know where to go. The good Chinese masseuse are trained in the anatomy, just like the old-school Eastern European ones. Whenever I’m in Shanghai – one of my fave cities in the world – I hop over to any of the Dragonfly Chain parlours. The massages are not the cheapest around, but they’re reasonable. Especially when good massages are so pricey in so many other cities. While the reception of the Dragonfly parlours look very spa-like with the essential oils filling the air, dim lighting and little water fountains, the private rooms are small with no-frills. Because the quality massages are all you should be focusing on anyway. I’ve had a rough month, so I opted for a 90-minute Japanese accupressure massage (RMB 282), to unblock my meridien points and to get the blood flowing in my shoulders, neck and back. The masseuse started the massage by jabbing my upper back with her fingers in the most excruciating and sore spots. It felt like torture, but just what I needed at the same time. I’ve learnt to not complain, because the most effective massages are the most painful ones; not really those that make you fall asleep, pronto. I gritted my teeth and bore the pain. Gradually, the pressure points that she was kneading on became less painful and sore. My neck, shoulders and back also became less stiff. Dragonfly never disappoints. As with any masseuse, you have to constantly communicate with them (I like to use grunts and sighs, or just plain Mandarin) throughout the session, so you get the most out of the treatment. 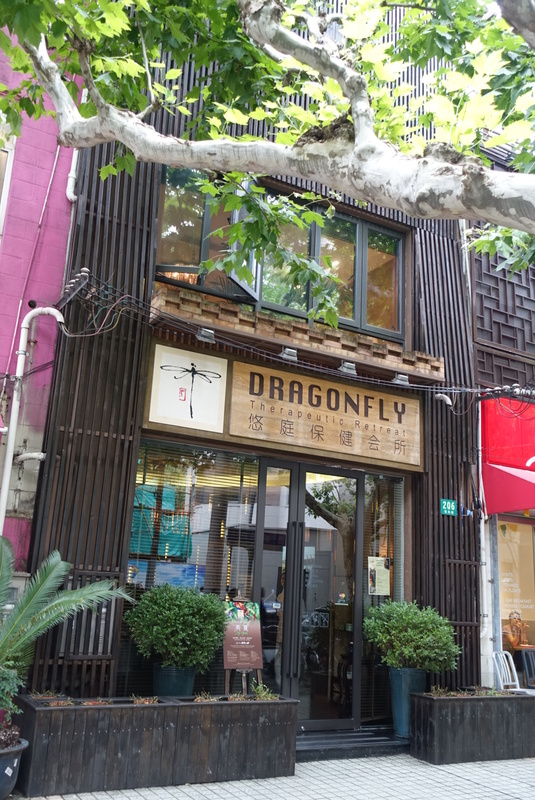 There are nine DragonFly outlets in Shanghai. But to ensure that you get a slot, call ahead. The one I visited on this recent trip is located at 206 Xinle Road (tel: +86 21 5403-9982).